A Sussex receptionist is reportedly among three people who died in a helicopter crash in the Grand Canyon. 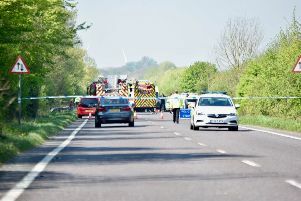 The BBC has reported that Becky Dobson, 27, from Worthing, along with Jason Hill, 32, and Stuart Hill, 30, died in Saturday’s crash. It is understood that three other Britons, Ellie Milward, 29, Jonathan Udall, 32, and Jennifer Barham, 39, were injured in the crash, along with pilot Scott Booth, 42, when the helicopter, on a tour of the canyon, came down at about 5.20pm local time, 12.20am GMT, in Arizona. Miss Dobson worked at Vets4Pets in Lyon’s Farm in Sompting Road, Worthing. According to her biography on the Vets4Pets website, Miss Dobson described herself as ‘a very outgoing person’ and ‘always up for having fun’, and loved spending time with her horse Buddy, seeing friends and family. She said: “I also love to travel the world and explore what is out there beyond good old Worthing. There has been an outpouring of emotion on social media following the tragic news. Tom Grimster posted on Facebook, saying: “Shocking! Went to middle & high school with Stuart Hill! RIP Stuart & Jason Hill & Becky Dobson”. The Herald & Gazette, and its sister titles in the Sussex Series, did not report the names of the victims in earlier digital versions, but given the extent to which they have now been reported in the public domain, took the decision to quote from the BBC.